Hong Kong Hing Lung engaged in garment production, wholesale with import and export business since 1996. Mainly business partners are from the large clothing brand, chain stores, department stores, retailers, importers and exporters. Our concept is to go with the trend and developed so far. We are the best partner which we're backup for many large clothing brands. 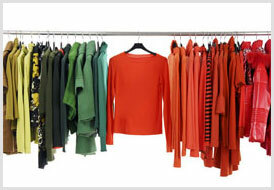 We supply clothing to the line of different styles of fashion. We do both elegant and trendy styles. Products quickly shipped around the world through the logistics centre in Hong Kong. We get the customers and consumers of all ages in Europe, the United States and other countries. 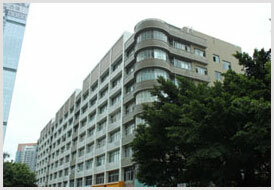 Our production facilities located in Guangdong, China. We also have our design team. Our experienced designers can design a full set of collection from which you can make your selections. Please do not hesitate to let us know your thoughts and ideas, we believe that our expertise and understanding of the Chinese apparel market can definitely solve your problem. All the designs are provided for the needs of different companies and consumers. Choose our company as your clothing suppliers will enable you to master the biggest advantage in a rapidly changing market and competitive expanding competitive advantage and create the success. We are the greatest garment partner to enhance your brands and business. HING LUNG also has its own design team. Mainly self develop design and production as the mainstay. Of course, there are costume the design just for our customers too. Either design a single style or a full line collection service, all completely according to customer requirements. Our design team led a group of young designers from Hong Kong experienced designers. Our styles tend to be fashionable. Design both elegant, trendy and causal wear. We mixed European and American elements at the design. Our designers will be on a quarterly basis to practice and exchange in Milan and Paris, absorbing their clothing trends and cultural style. We respect the intellectual property rights. We will stand behind the quality of all our products. We value every order and your satisfaction is always our first priority. If you would like have further information, please feel free to contact us. HING LUNG own the factory in Guangdong, China focused on manufacturing and exporting all kinds of different styles of clothing. We are focus on the women's apparel such as knit, woven, dress, sweater, leather jacket, fur, etc... With beads, printing, embroidery and other fine craft processing. Manually processing or sewing machines both have delicate quality. Customer can bring along your sample or design, our design team will give you their creation and do the rest until production finished. As for the production base in Guangdong Province, it is the birthplace of China clothing industry. China government intends to build Shenzhen to as a garment design city. So a lot of experience technical are here. In addition, we also have advanced production equipment to promote the product quality assurance. That our products can be high-end and export markets in Europe and the United States unanimously approved. 13-29 Kwai Hei Street, Kwai Chung, Hong Kong. 版權所有 不得轉載Copyright© 2012 Hing Lung Co.,Ltd.